As a barrister specialising in commercial fraud and as a former member of the Victoria Police and certified fraud investigator, I know it can be overwhelming for victims of fraud when it comes to knowing how to respond and that ensuring the maximum recovery in as little time as possible is of vital importance. Although commercial fraud has increased globally over the years, surprisingly it’s still not an area that legal practitioners in Australia choose to specialise in and for that reason I see many mistakes made. Unfortunately most mistakes are irreversible. So, what should a victim do when they first uncover an incident of fraud? Why may reporting the incident to the police not be the best way to secure recovery of stolen funds? 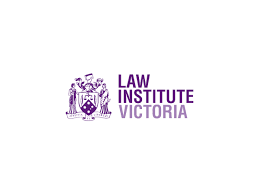 To help shed some light on this particular area, I have written an article called ‘Maximum Recovery’ that is featured in Law Institute Journal of Victoria in the October 2018 edition. In this article I have provided some insight into what you should and shouldn’t do when it comes to dealing with cases of fraud. In particular I discuss how and why you might want to raise such an incident as a civil case before reporting it to the police, how to best achieve maximum recovery and how to avoid lengthy proceedings and the associated costs. For anyone who has discovered that they have been a victim of fraud it is undoubtedly alarming, but it’s important not to act impulsively. With proper advice and planning civil litigation can actually be very rewarding and cost effective.. Although each case of fraud is different and needs to be assessed in it’s own right, In my article I have provided some useful information that is generally applicable for most cases of commercial fraud. In particular I emphasise how bringing a civil case first and waiting for recovery before reporting the matter to the police is often the quickest and effective way secure maximum recovery. I also discuss what initial action you should take in such cases, causes of action and how and when to apply for freezing and search orders. For more information about fraud and what to do, You can read or download my feature which is attached here. If you are a victim of fraud and are seeking professional assistance, contact me today.